Bass-baritone Rodney Earl Clarke and Steinway pianist Dominic Ferris will join London’s leading pop-opera girl group, Ida, in their show IDA Girls – Stage & Screen at The Other Palace studio on Wednesday 11th July 2018 at 7.00pm. The performance is part of The Big Smoke Festival – the venue’s week-long music, cabaret and variety festival. Rodney, who will duet with Ida, as well as performing a solo number, was hailed by Gramophone as “a singer to be watched”. His credits include Carmen Jones at the Royal Festival Hall, Jude Kelly’s award-winning On the Town, Kenneth Branagh’s film version of Mozart’s The Magic Flute, Sondheim’s 80th Birthday Celebration Prom, the Broadway Sound BBC Prom and Jake in Gershwin’s Porgy & Bess under the baton of Sir Simon Rattle. Rodney has presented on television for the BBC and his debut album Glorious Quest has received critical acclaim. Steinway pianist Dominic Ferris will accompany the show as well as giving a special performance of his own. Dominic studied piano performance at the Royal College of Music and has since built an international reputation as a live performer and regular recording artist at Abbey Road Studios. He is one half of two critically acclaimed double acts: The Piano Brothers and Ferris & Milnes. Audiences can enjoy an unforgettable evening full of timeless musical theatre numbers, iconic operatic arias and cinematic favourites, complete with exquisite harmonies, perfect blend and – of course – Ida’s clever crossover twists. And in true Ida style – always pushing the boundaries of classical crossover – there will be some surprises along the way! Ida formed whilst on the London production of Gilbert & Sullivan’s Princess Ida. It was here they became close friends and continued to sing together after the show had ended. 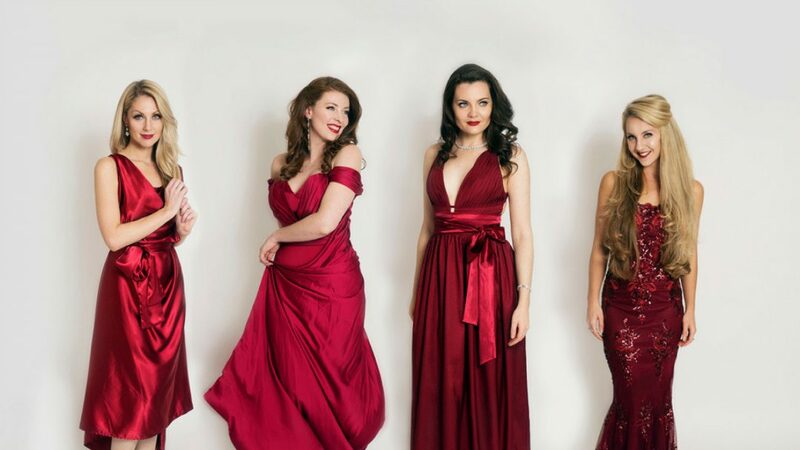 After captivating audiences across six continents, the members of Ida are very excited to be back on home turf with a special London show, having recently sold out at Live at Zedel and performed to thousands at West End LIVE in Trafalgar Square. This show will be a rare chance to see Ida – Georgi Mottram, Wendy Carr, Laura Coutts and Sarah Vaughan – live at currently their last scheduled public performance in London, in what has become a very busy 2018!